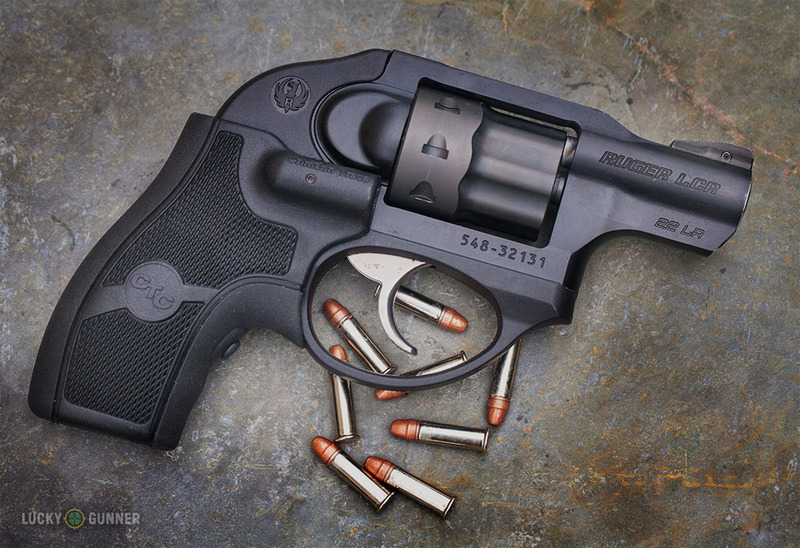 Welcome to the third installment in our Wheel Gun Wednesday series. Every Wednesday, I’ll be exploring a topic related to revolvers as modern self-defense tools. This week, we’re taking a deeper look at some of the advantages often attributed to revolvers and whether the common wisdom is all its cracked up to be. When I first launched this discussion about revolvers a few weeks ago, it quickly became obvious that you guys have a lot to say on the topic. This is one of those issues that can start bar fights among gun owners. I’m encouraged by the fact that so many readers seem to have given this some serious consideration and are willing to thoughtfully share their (sometimes extensive) perspectives in the comments section. That’s not to say we didn’t have to moderate some 8th grade-level name-calling mixed in there too, but overall you guys kept it classy, so thanks for that. Before we get too much deeper into our Wheel Gun Wednesdays, I should clarify an important point. For the purpose of our discussions, I’m focusing almost exclusively on revolvers as self-defense tools against human threats. Revolvers used for hunting or wilderness protection are another matter entirely. 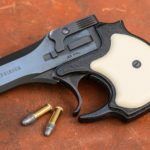 We might get around to broadening that discussion at some point in the future, but for now you can assume we’re talking about revolvers used for everyday concealed carry, or for personal protection in the home or car. So with that focus in mind, let’s take a look at a couple of the advantages that revolvers supposedly offer over semi-automatics. The transition from the revolver to the semi-auto as the favored handgun for personal protection in the U.S. has emphasized two major advantages that semi-autos can claim: they have much higher ammo capacity and they’re easier to shoot well. These are great things to have on your side if you end up in a fight for your life. Those who advocate for the relevance of the revolver will often counter with one or both of following arguments: Revolvers are more reliable and more accurate than semi-autos. 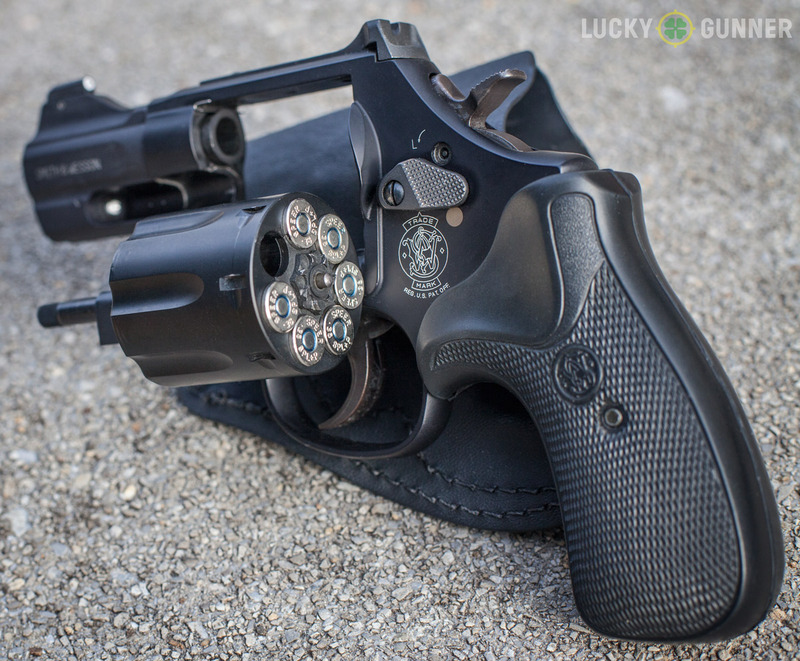 There are plenty of other advantages of wheel guns, but in my experience, these two seem to be the most commonly repeated. Are they still true and relevant today? Let’s start with the accuracy claim because I find this one the most dubious. If we’re comparing modern production double action revolvers to modern production semi-auto pistols, there’s really no case to be made for revolvers being inherently more accurate. Others have done a great job of explaining some of the technical reasons behind this, but let’s suppose for a moment that some revolvers on the market do provide a slight edge in mechanical accuracy. For self-defense purposes, that only matters if the shooter can actually fire it more accurately. In double action. Under stress. The vast majority of shooters, myself included, have not mastered the double action trigger to the degree that they can take full advantage of the revolver’s mechanical accuracy potential in any kind of shooting other than slow fire on a static range. And even if that weren’t the case, what kind of difference in accuracy are we talking about? It’s not at all uncommon for bone stock semi-auto pistols to be capable of two inch groups at 25 yards. Does a defensive handgun really need to be more accurate than that? The mechanical accuracy issue is a complete red herring if we’re talking about self-defense. What’s far more important is the practical accuracy of that gun in your hands. If you personally shoot a revolver more accurately at speed than you do a semi-auto, then a revolver might be the better choice for you. Most shooters, however, will shoot a semi-auto more accurately and with less training than a double action revolver, despite whatever marginal difference may or may not exist in mechanical accuracy. This one is tricky. Unlike the accuracy myth, it’s not that the claims of revolver reliability are flat out false, but I think they’re a bit overblown. It’s often said that revolvers “don’t jam.” I guess that depends on what is meant by “jam.” They don’t have feeding issues the way semi-autos do, but revolvers do experience malfunctions that cause them to stop working. 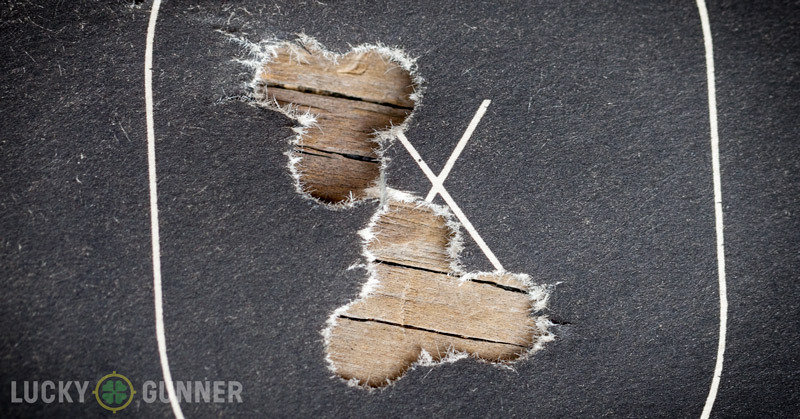 Just to name a few: excessive fouling under the extractor star can lock up a cylinder. Recoil from lightweight revolvers can cause bullets to wiggle their way out of the shell casing which can also prevent the cylinder from rotating. The ejector rod can work itself loose and make it nigh impossible to open up the cylinder without breaking out the tool box. And of course there are the issues that come up during the reloading process like incomplete extraction and cases stuck under the extractor. Revolvers may not have feeding issues, but a quick tap-rack-bang is not enough to clear most of these other potential problems. Fortunately, revolver malfunctions are fairly uncommon, especially when the gun is well maintained. But the same could be said for many (though far from all) of today’s semi-autos. For example, my full size Smith & Wesson M&P9 is coming up on 4000 rounds since I last had a stoppage of any kind. There’s a chance that a revolver could be even more reliable, but I’m more than okay with relying on a gun that’s had a 4000:1 record. That’s not to say a revolver does not have some significant advantages related to reliability. They do, but they’re more situational. The most well known is the revolver’s ability to be fired multiple times from inside a coat pocket or purse. You can get at least one shot off with a semi-auto, but chances are good that the slide will hang up on the material inside the pocket. Of course, that’s only relevant if you want to carry in a pocket or purse. Personally, I’m more attracted to the revolver’s lack of ammo sensitivity. With a .357 magnum wheel gun, I can be pretty confident that just about any cartridge I can cram into those chambers is going to work. And even if it doesn’t go bang, it won’t tie up the gun for any longer than it takes me to squeeze the trigger again. This might be a useful attribute in some kind of Walking Dead post-apocalypse where I’m scrounging for ammo, but there’s a practical everyday application too. I go out of my way to make sure that the semi-autos I own have a reputation for reliability, but I still don’t trust a new one until I’ve got at least 500 trouble-free rounds through it. And then I like to fire another 100 rounds of my carry ammo just for good measure. Any time I experience a malfunction, I try to figure out what went wrong and then run another couple hundred rounds through it to make sure it’s fixed. A revolver doesn’t need nearly as much range testing. I don’t have to worry about the magazine as a failure point, and unless I’ve fiddled with the internals to improve the trigger, I don’t have to give the reliability of the ammo much thought, either. I’ll run some of my carry ammo to check the point of aim and get a feel for the recoil impulse, but that’s about all that’s necessary. 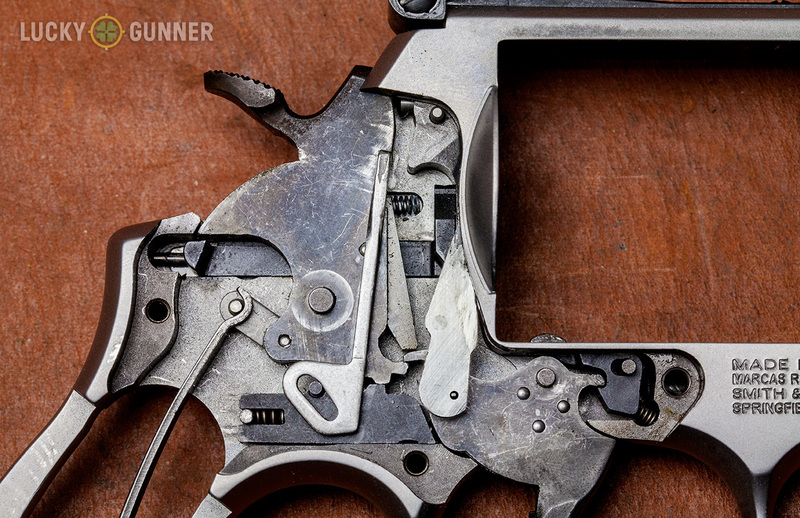 Far less time and money has to be devoted to troubleshooting and verifying the functional status of a revolver, allowing the shooter to focus on actual practice. Then there’s the legend of the old dusty revolver neglected for decades in the drawer of the bedside table. Without magazine springs to wear out and the necessity for regular lubrication, a revolver that works today can be counted on to work again many years into the future. As I already mentioned, revolvers do require maintenance. Shooting and carrying a revolver introduces wear and tear and foreign particles that can eventually cause problems. The same is true for a semi-auto, but the semi-auto also requires periodic maintenance even if it’s not being used. 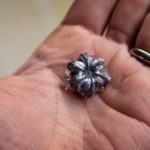 Sure, those magazines might keep feeding if the spring is compressed for a decade or two, but there’s certainly no guarantee (read our post Do Loaded Magazines Wear Out Magazine Springs? for more on that debate). Ideally, everyone who owns a revolver for self-defense would be getting in plenty of regular practice and training, but of course that’s not reality. Fortunately, the neglected revolver will most likely still function, even if its owner is not particularly well practiced. And there may be other benefits to the revolver for this category of gun owner, but we’ll wait until next week to dive into that one.